It's most certainly not possible to get a score this high without milking the hell out of the first big enemy in the game that shoots out the destructible bullets. You either sat for many hours in one spot (which you surely would've remembered ) or you got 133 million points unless some weird scoring bug occured. I highly doubt it is even possible to get 135 million points by playing the game regularly, yet alone 199 million points. I didn’t milk anything and got 136million. That's really impressive! I'm a little bit surprised to be honest - I must have misjudged the potential quite a bit then. I've yet to see a replay where the player got up to 135 million points (without milking, of course) even though some of them seemed to be almost optimized. Nevertheless, 199 million points are definitely out of question without either some irregularity or exuberant milking, especially considering that 100 million points are from the final boss itself, meaning that you basically would have to kill almost thrice the amount of enemies. There is a bug that happens randomly against one of the early bosses. IIRC it's that head with blocks moving left and right, prior to the ravine section. I've seen it in a Youtube video where the score shoots up very fast and a characteristic noise is heard. I tried to replicate that for a while but gave up. Hmm, that is quite interesting! The noise, I think, is from him getting an extend (or 2) due to the points, but as for the bug itself... I would really like to figure this out! 133 million is about average for a 1cc. The highest I've gotten without any tom foolery was 137 million. 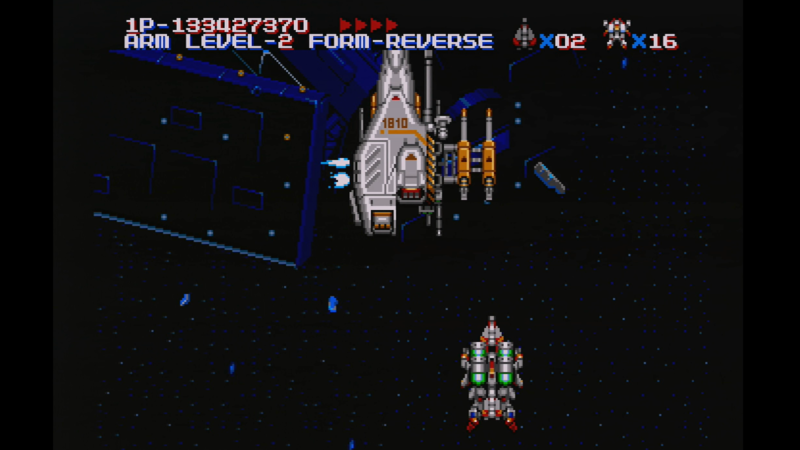 Shooting the bullets at the beginning of Stage 1 is obviously leeching, but the glitch on the Stage 2 mid-boss seems unintentional. I've seen it on a few playthroughs scoring over 135. Started playing the game two weeks ago, almost exclusively and today was able to perform a 1CC. I realise the key is focus in STG since memorization and practice is essential to learning. Feelin a bit ambivalent. I did very much enjoy playing the game and looked forward to make the achievement, but kinda sad now that this has been accomplished and I will probably stop playing at least in the near future. This concludes my Compile trilogy that started with Gunhed on the PC Engine, follow by Super Aleste on the Super Famicom and now this (Musha Aleste) on the Mega Drive. Excellent job! Good to see some PH shmuppers still kicking on the scene. Excellent game, I personally think it bests Musha by a large margin. 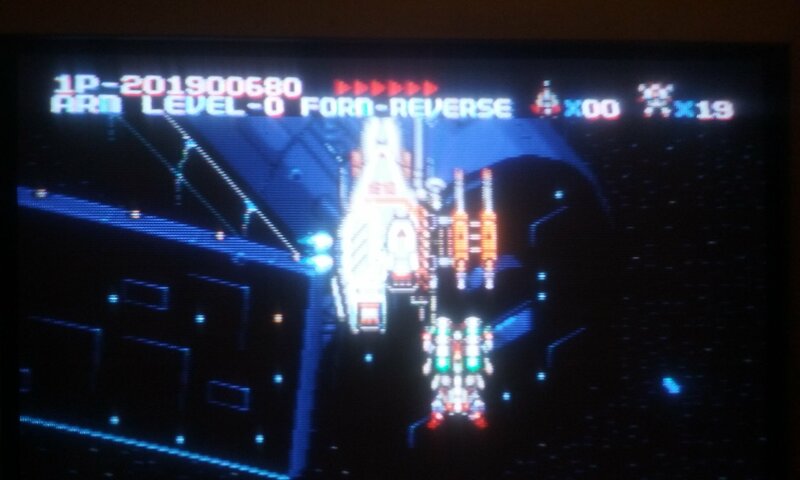 My MUSHA score playing on hard (can't believe this is the first score posted on hard, this game is much better on that difficulty IMO). Finally spent some time on this and got the 1cc. Proper format please, or I won't accept your score. My apologizes, wasn't a submission. I'll just paste the description here and try to spark some discussion on the stage 2 midboss and the odd amount of points it decides to disperse. Stage 2's mid boss likes to deal under the table. I've attached links to other such incidents caught on film, but this footage is my own and was the only time i've encountered such constant points being leeched before defeating this mid boss." Apparently Robo Aleste is slightly easier than Dennin Aleste, and weapon balance has been modified. Localizations of niche games were a mistake.